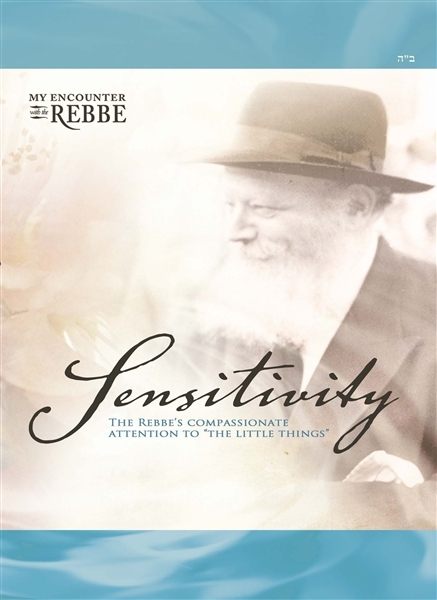 Culled from tens of hours of in-depth interviews, Sensitivity presents the simple but fascinating stories of those who felt the care and attention to their smallest needs exhibited by the Rebbe, Rabbi Menachem M. Schneerson, of righteous memory. 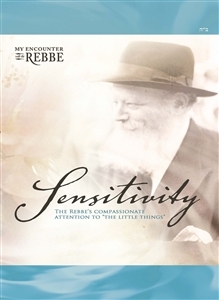 Starting from Moses, their first leader, the Jewish People have been led by individuals exhibiting an essential and unique quality: They were thoughtfully attuned to the distinct and disparate needs of each person in their flock. Throughout history, in times of triumph and adversity, this trait has shown to be distinctively present and in each of our leaders.